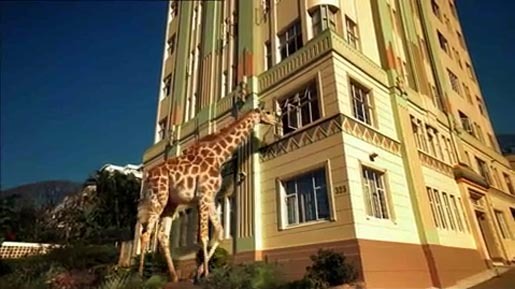 Optus have relaunched their new and innovative 3G services with a fully integrated campaign of ads featuring a lion, an elephant, a giraffe and a tiger. See my earlier post on the original Optus Harmony animals ad. Filming was directed by Paul Middleditch at Plaza Films, with producer Peter Masterton. Editing was done at Winning Post, Sydney. Visual effects were produced at Animal Logic by shoot and 2D VFX Supervisor, lead compositor Angus Wilson, 3D post supervisor Luke Hetherington, compositors Leoni WIllis and Andy McKenna.